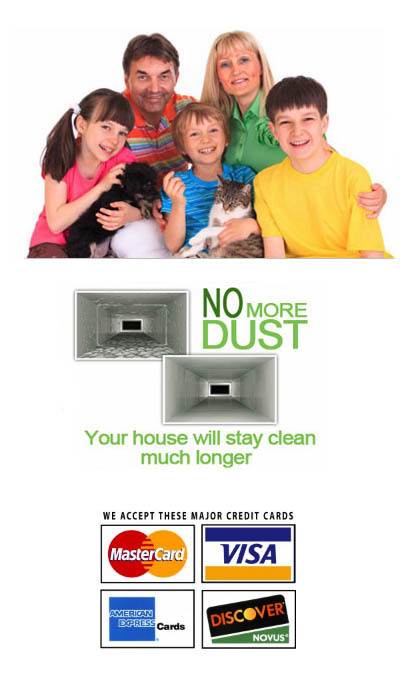 Air Duct Cleaning & HVAC System Efficiency. While you may not have realized it, the two go hand-in-hand. Your HVAC and air duct system work together to circulate air through your home but it’s not just air that is getting moved. In the air we breathe there is also “particulate matter”. The EPA defines particulate matter, as “a complex mixture of extremely small particles and liquid droplets. Particle pollution is made up of a number of components, including acids (such as nitrates and sulfates), organic chemicals, metals, viruses, allergens, mold spores, bacteria, pollen, dust mites and soil or dust particles”. It is easiest to see an example of particulates when the sun casts light through your window or by looking at your furnace filter. The furnace filter is used to filter particulates out of the air prior to going through your HVAC blower motor. Some of the particulates can still pass through your air filter, the amount is based on the quality of air filter you are using. Over time, as particulates build up on the filter in your HVAC system, your HVAC system will not be as efficient and will have to run longer to circulate the heated or cooled air through your home. This can lead to inconsistent heating and cooling, higher utility bills, & costly HVAC repairs, such as cleaning or repairing the A-coil or blower motor. Dust, dirt, dander, allergens, debris, all of these things get trapped inside your ducts, and as the air circulates, it is traveling over and through your dirty duct system. In some cases this dust is redistributed through your home, in other cases it stays in the duct system attracting more dust. Clean Air Floridaprofessional air duct cleaning system with powerful vacuum equipment can reach deep into your air duct system and get your Air Duct System clean to help it run more efficiently. Sanitize the system and to inhibit future microbiological growth utilizing a natural disinfectant that is harmless to occupants.